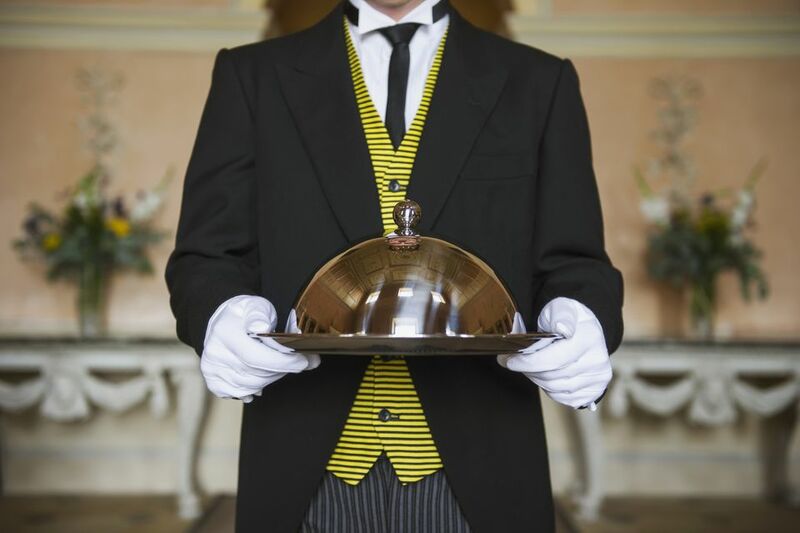 While butlers of the rich and royal have held an important place in households for centuries, more recently butlers have become available on a temporary basis to guests who lodge at fine hotels. Even if your everyday life doesn't involve the services of a butler, your honeymoon or next romantic trip may. The increasing availability of vacation butlers reflects a competitive effort among upscale hotels to win the loyalty of guests. What do butlers do, and will you feel comfortable having one around? First of all, some attitude adjustment is required on your part: Butlers exist to serve you; you don't have to please them. You simply need to treat them respectfully and as professionals. Services butlers render range from place to place, but their activities basically center around making your stay more comfortable and sparing you from having to do tedious things like unpacking, packing, drawing a bath, or making reservations yourself. After having a butler around, you may wonder how you ever managed without one. Polite as they are, though, they do get touchy when you attempt to take them home with you. Today's butlers keep up with the times, offering services that old Jeeves couldn't have imagined. At London's posh Dorchester Hotel, e-butlers assist guests with technology issues. La Pleta Hotel & Spa Raises, in the Catalonian Pyrenees, features a boot butler who relieves skiers of their boots after a day on the slopes. He cleans and sterilizes, dries and polishes. Ski boots are then returned to the guest’s room in pristine condition, ready for another day on the slopes. Ritz-Carlton hotels understand that honeymooners and other luxury guests appreciate some pampering. Many of their resorts feature butlers trained to anticipate their needs and comply with utmost speed and efficiency. 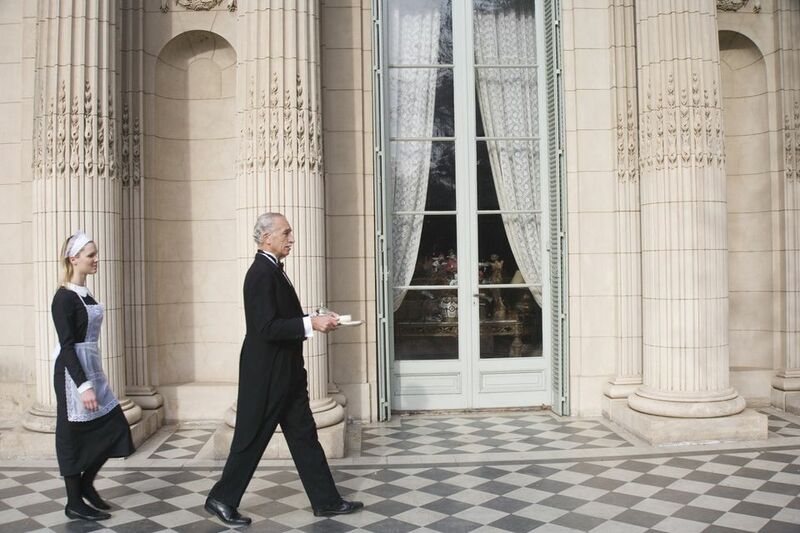 There are specialty butlers at various Ritz-Carlton properties. The Ritz-Carlton Boston is one of several of the brand's hotels that features a bath butler who will concoct an aromatherapy dip to your specifications. From San Francisco to Cleveland to New York, Ritz-Carlton hotels also feature a technology butler, on call 24/7 to help non-geek guests master their computing needs. But perhaps the most unique of these professionals is the tanning butler at the Ritz-Carlton Hotel South Beach. Trolling the pool and the nearby beach clad in a pair of swim trunks, he protects and lubricates the tender skin of guests with SPF lotion upon request. The boutique hotel located atop the MGM Grand, Skylofts suites are luxurious aeries designed for sensualists. Each master bathroom has a steam room, immersion shower, and infinity-edge spa bathtub with 32" flat-screen TV beside it. Skylofts suites are all attended by a 24-hour butler who handles unpacking and packing, customizes the private bar with precise beverage preferences that would satisfy the crankiest headliner's contract, provides an array of personal spa amenities, coffees and herbal teas, and can create a customized guest CD music track. The butler will also set the room's comfort level for guests, adjusting the TV, radio, drapes, temperature controls, and lighting. And then, like the infinity edge in the bathtub, disappear. Connecting with the guest's personal assistant to make advance arrangements and coordinate the stay. Setting up sessions with a private fitness and yoga instructor or tai chi master in the suite’s private fitness room or on the private rooftop terrace. Drawing an aromatherapy bath in the Jacuzzi for two overlooking Victoria Harbor and Hong Kong Island…with special oils, orchid petals, candlelight, and herbal tea. Organizing intimate lunches or dinners in the dining room or on the private terrace. There's nothing like a relaxing bath at the end of a strenuous day — or the beginning of a sizzling night. Bath butlers at the Hotel Monasterio, a Belmond hotel in Cuzco, Peru, are experienced in drawing baths to suit a guest's specific desires. Steamy selections from the bath menu include candles, aromatic salts, satiny rose petals, coca-leaf decorations, and bubbles plus "side dishes" of Champagne, chocolates, and Peruvian cigars. Butlers at the Azul Blue villa resort on Mexico's Riviera Maya, have been trained by the Professional Guild of English Butlers. Each villa has a dedicated butler who helps to unpack luggage so guests can begin to relax as soon after they arrive. Butlers will also offer to draw a bath and help guests select a soothing aroma for it. In-room telephones have one single button, which summons the butler. From arranging scuba diving excursions and al fresco dinners to day trips at the Tulum ruins, Azul Blue butlers endeavor to make guests' stays as stress-free as possible. Just in case cruising along without a care on one of the world's best ships isn't sufficient, passengers who book Queens Grill accommodations — the most lavish at sea — on the Queen Mary 2 get both a butler and concierge service to assure smooth sailing. Staterooms feature a private lounge and sun terrace. Less-expensive NCL cruises also offer butler and concierge service in top-tier cabins and penthouse accommodations. There are eight penthouse suites at The Palms on Turks & Caicos, and daily butler service is available for a fee. These suites also have vaulted ceilings, elevator-key access, a study with high-speed Internet access, two terraces, an outdoor shower, a garden, and a Jacuzzi. Guests in other suites at The Palms can request private butler service at an additional cost as well as a personal in-room chef. Depending on the level of lodging that you book, your stay at Sandals Resorts may include a team of round-the-clock butlers who service several rooms. Butler duties consist of unpacking and packing luggage, drawing baths (bubbles and rose petals optional), serving food and drink to guests in their private space, and more. Sandals touts that its "all-inclusive" pricing includes tips. However, guests who can afford a room with a private butler and want to add a gratuity for outstanding service will not be rebuffed. Sandals butlers have been trained by the Guild of Professional English Butlers. Which means they probably know far more about manners than you and me — but they are too tactful to point that out to their lieges.